Library Workshop "ABCs about publishing your doctoral thesis on the Internet" will be held on June 3rd, 2014 at the Conference room of the Central Library. 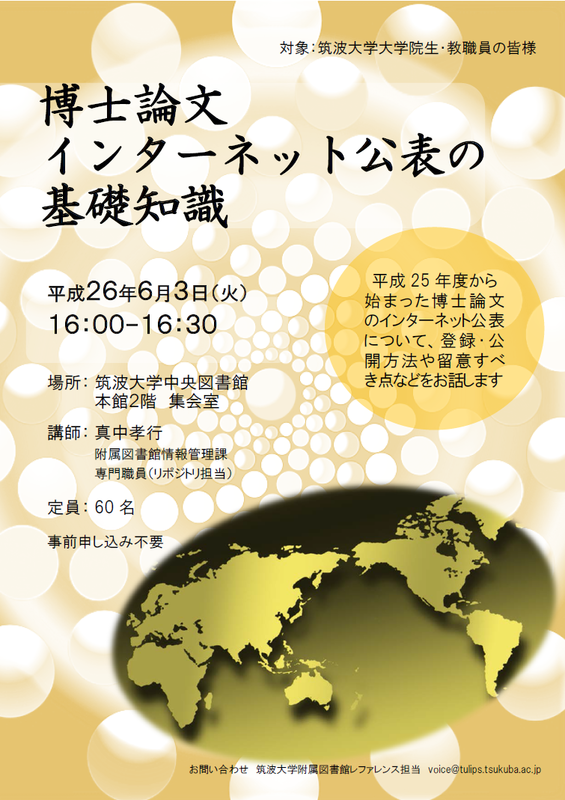 The Librarian will lecture about some key points on publishing your doctoral thesis on the web (Langage : Japanese). The number limit :60 Registration is not necessary.